Laminate Floors are brilliant for modern homes, as they make it easier to clean up dirt and spillages. This type of flooring also looks great and creates a contemporary atmosphere in your hallway, living room or dining room. It is a fantastic alternative to real wood floors, as it works out much cheaper per metre. This means laminate flooring is an affordable option for your home. Many of our customers choose to accessorise their laminate floor with an oriental rug or similar floor covering to add warmth, colour and texture. Bromley and Able are able to supply this flooring in a range of colours and grains to match the décor of your home perfectly. We only stock flooring of the highest quality and all of our fitters are trained to do a careful and considerate job when they install the laminate in your home. Laminate Floors are available from Bromley and Able Carpets. Browse our range of flooring at our website where you will also find a fantastic selection of carpets for every room of your house. 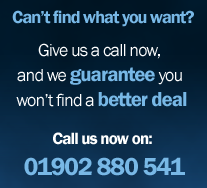 Please call us on 01902 880541 to discuss your order and we will do our very best to help. Our company is based in the West Midlands, UK.